Kandal province completely surrounds the capital Phnom Penh. The province is also a part of the greater Phnom Penh Metropolitan Area with more than a million people in and around the province. 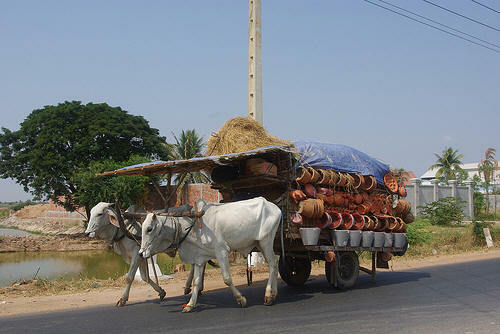 During a trip from Phnom Penh is the border between the two provinces almost unrecognizable. 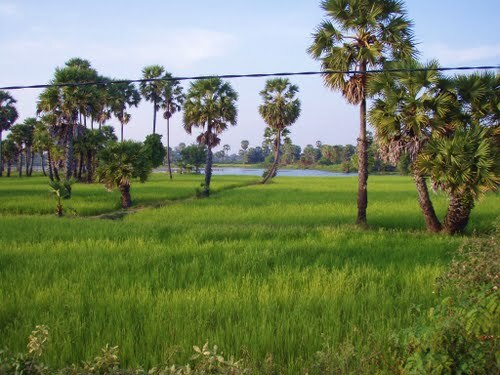 The province consists of a typical flat and wet area with rice fields and other agricultural plantations. The average altitude of the province is not more than 10 meters above sea level. This province has also two of the largest rivers of Cambodia, the Bassac and the Mekong. Kandal as an economic belt of the capital Phnom Penh. Agriculture and fishing are the two main industries of the province. Main products of Kandal are palm oil, peanuts, rice, and pepper. In addition to farming and fishing, the province also a thriving cottage industry, specializing in wood carving, silk and handicrafts. Many garment factories are located in Kandal province, where more than 500,000 employees work. Kandal is one of the smaller provinces of Cambodia. The capital is Ta Khmau (lit. Black Grandfather) and is located about 20 km south of Phnom Penh. The province is famous for its ancient history. One of the major attractions is Udong, under different rulers between 1618 and 1866 at the time this city was the capital of Cambodia. A number of kings, including King Norodom, were crowned here. The town of Udong is nowadays just a small town, 40kms north of Phnom Penh, on the route to the tourist Angkor Wat. The town bus station is found to the north of the town, right on the provincial border. This consists of an unpaved, gravel field, and a covered waiting area, which also serves food. Buses park on the gravel, and many get washed down after their dusty trip along the roads of Cambodia. Not a great deal of traffic would use this station, most long distance buses do not stop here, but head directly to Phnom Penh, less than an hour away. Buses from this station would travel to the small villages around Udong, and to the capital. We could not find a bus station sign. The most interesting things in Kandal include several Stupas and a huge 8m high reclining Buddha and the battered Ta San Mosque. Kandal is not far away from Phnom Penh and you're very quick in Kandal. You visit Kandal in one day. There are also other attractions such as the Ang Kor Chey Pagoda in Ban Tey Dek about 29km from Phnom Penh. Before you reach the pagoda, you have about a 100 meter wooden bridge. Under the bridge is a large pond where they collect water for the dry season. Behind the pagoda you see an artifical black hill. It is said that the black hill is a former palace, because they found several antique objects such as bowls and pots. Ang Kor Chey pagoda is situated in a beautiful landscape and the trees around provide cool shade to rest. It's a pleasant environment. 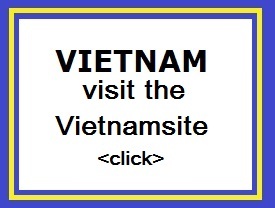 "The Vipassana Adhura Buddhist Centre of the Kingdom of Cambodia is the centre of the Buddhist faith of Cambodia. The site is a large complex of prayer and instructional buildings, plus a lot of activities for locals to see and do. It is located ~40kms north of Phnom Penh, adjacent to the royal ancestral stupas of Oudong mountain, and near the modern small town of Udong. Guarding the four entrances to the main hall of the Centre are a total of sixteen lions. (I suspect that eight are male lions, and eight female, but I could be wrong.) These lions are the stylised 'royal' lions of Cambodia. They are fairly large lions, I suspect larger than life sized, as befits their status. Easily found, they attractive teenage girls who enjoy having their photograph taken while standing next to the lions. The waymark was made at the site of the northern most male lion".